Be prepared for the constant weather changes in West Virginia with a metal roof. Strong and hardy, this roofing material is made to last. Energy efficient, it will also help to keep your home or office cool in the summer and warm in the winter. 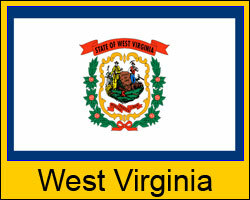 Our company services every community in West Virginia. From Huntington to Elkins, we will deliver your order directly to your work site. With a variety of styles, colors and applications, there is also a product to match every budget. Contact our customer service team to help you with your order. Our listed prices are valid for all of the state although some shipping restrictions may apply. Click here for details on shipping to your jobsite. A great investment, many of our products offer a 30 to 50 year manufacturer’s warranty. Although lightweight, our metal roofing can withstand wind gusts of as much as 120 mph. Environmentally friendly, many of our styles qualify for the Energy Star tax credit. Attractive, we offer an array of styles to complement your building design. Can be installed on top of existing asphalt shingles. Want instant pricing? Go to our design and price center and get prices now.